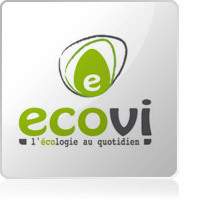 Ecovi develops and manufactures a new generation of innovative compost bins. Ecovi is particularly interested in giving households the opportunity to turn their organic wastes into useful compost. Compost is an odorless and pathogen-free brown mixture that is specially used as a soil conditioner. The company is always looking for new solutions and innovations that allow you to recycle your waste and create your own small town garden!